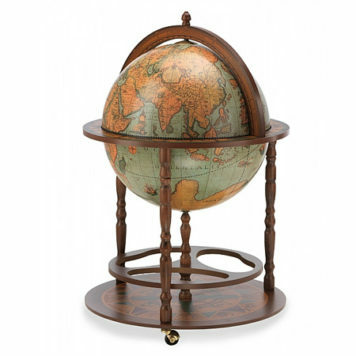 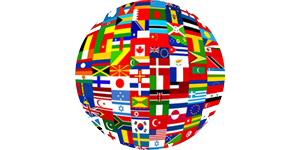 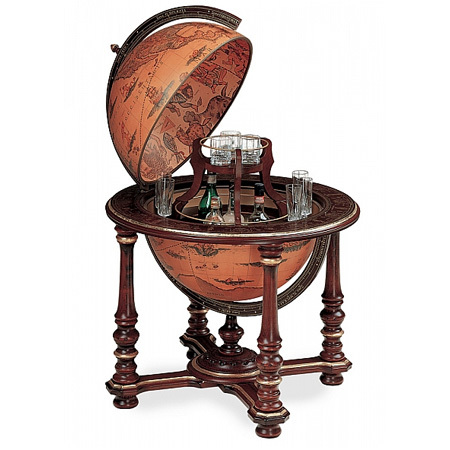 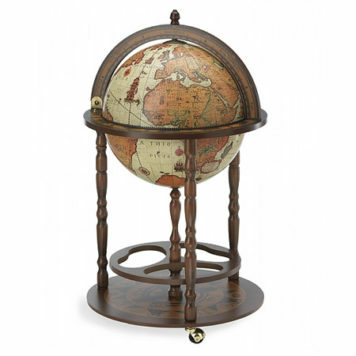 One of the most popular bar globes of our collection is de Blue Ocean Beech Tree bar globe. 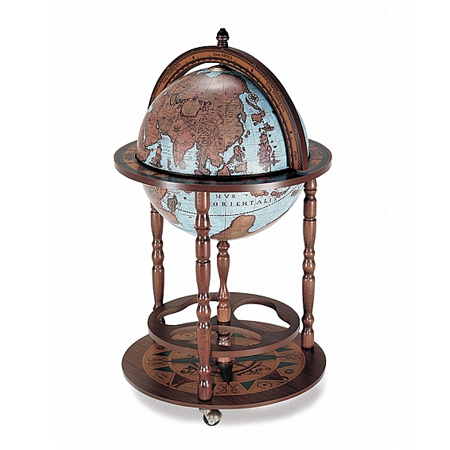 Decorated with an unique XVII Century southern hemisphere, it is a nice addition to every room. 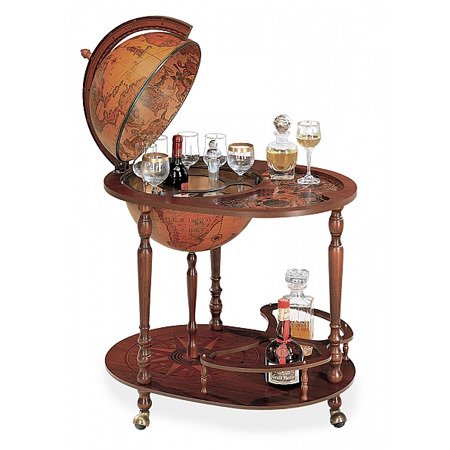 This bar globe can store up to 9 glasses and 3 bottles inside. 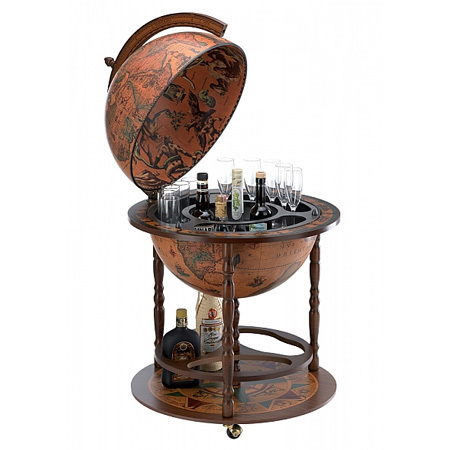 Below you will find the bottom shelf where you can store another 6 bottles.